When I first visited California in 1997, my American friend Kathy announced with great fanfare that she would prepare a traditional Irish meal in my honour: corned beef and cabbage. I vaguely recalled cold corned beef being sold in slices from the corner shop in my early childhood. I didn’t like it then and mercifully I hadn’t been exposed to it since. It turns out that St Patrick’s Day is celebrated in the USA with the ‘traditional Irish’ dish of corned beef and cabbage, which is apparently delicious, but not something I have ever encountered in Ireland. Bacon and cabbage was the staple of our youth. Mmmm…. 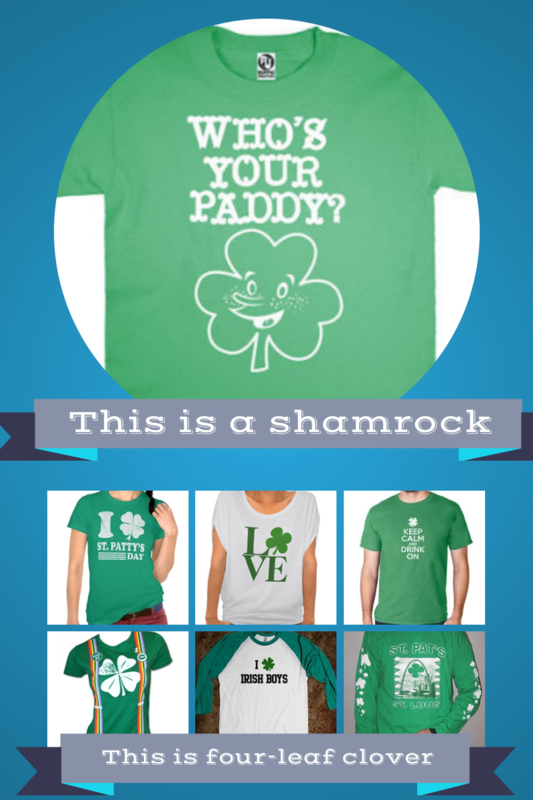 While I’m on the topic, I’ve noticed a lot of four-leaf clover around for St Patrick’s Day – on t-shirts, posters – even Amazon. The reason the shamrock is the symbol of Ireland is that St Patrick supposedly used it to explain the holy Trinity to a heathen chieftain he converted to Christianity, with its three leaves being part of a whole and all that. In short, a shamrock has three leaves, not four. And finally, another striking aspect of St Patrick’s Day as celebrated here in the USA is that people call it “St Patty’s Day”. In Ireland people call it St Patrick’s Day or Paddy’s Day, but never St Patty’s Day. But who cares? It was very exciting to be here in California for St Patrick’s Day and I felt a little thrill of pride every time I saw people wearing green clothes, Irish food products on sale and the green decorations in shops, restaurants and offices – even the four-leaf clover.